Because Home Connect is an open platform, the partners, services and appliance brands that can join the ecosystem are virtually limitless. That means consumers with Home Connect appliances will enjoy a growing experience over time – as more partners and services join, they will continue to enjoy updated and enhanced ways to enjoy their appliances. • Chefling – Chefling is the first AI-powered kitchen assistant that provides pantry management, online shopping and intuitive recipe instructions. Users can choose any recipe from the Chefling app, with its UltraConnect™ technology that seamlessly integrates recipes with Home Connect appliances, to identify all the relevant Home Connect-enabled appliances. This allows them to adjust settings like temperature, mode, timing and even coordination across multiple appliances to match the selected recipe instructions. • SideChef– With SideChef, users with Home Connect appliances will be able to access the cooking content and features they want for their cooking journey. This cooking app provides 12,000 smart recipes with step-by-step instructions as well as partnerships, like in-app meal planning and grocery delivery. • Josh.ai – Josh.ai integrates with Home Connect appliances for a seamless luxury experience that extends the boundaries of the home automation. Starting with coffee machine integration, homeowners will be able to ask Josh to brew their beverage of choice depending on the type, strength, and quantity, in whatever way is natural to them. Orders can be as simple or complex as desired, ranging from "OK Josh, prepare the coffee machine" to "OK Josh, make a strong large Espresso Macchiato, raise the blinds, and listen to music." Josh.ai is a professionally installed system and supports best-in-class connected home products and systems for a luxurious and intuitive experience. • FIBARO – These smart devices enable users to create scenes/sequences that connect devices from different manufacturers. With the Home Connect partnership, users will be able to include their appliances in scenes, such as a “morning scene” that turns on the coffee machine, opens the blinds, turns on lighting and music playback. Home Connect appliances can also be scene triggers. For example, the end of a washing machine cycle can trigger the lights for a specific lamp in the living room. • ABB – This technology connects compatible devices and enables users to manage them from one easy-to-use interface – and soon users will be able to also control their Home Connect appliances through ABB-free@home™ Home Automation. • LaMetric – Via the retro-styled LaMetric smart clock, users can receive information at-a-glance about Home Connect appliances – such as whether the oven has finished pre-heating or how much time is left in the dishwasher cycle. This adds extra convenience, so users don’t have to locate and look at their phone to check the Home Connect app for notifications. • Flic – This small, wireless smart button can be installed anywhere and enables users to give commands for their smart home with the push of a button. For example, users can place a Flic button on the nightstand and each morning with a quick press of the button start the Home Connect coffee machine as they get ready for the day. With the intuitive Home Connect app, consumers may control their home appliances and access services whether they are home or away. Several appliance brands within the U.S. have joined Home Connect, including Bosch, Thermador and Gaggenau. By delivering a wide array of global partners, Home Connect empowers participating brands to leverage the strong network of partnerships, products and services to develop unique experiences tailored to the desires of their specific customers. For example, the Thermador Connected Experience takes consumers on a journey that connects them to culinary experiences, personalized control, and exceptional service, allowing Thermador to uphold a meaningful relationship with consumers and easy pairing with technology already in their homes. Meanwhile, Bosch believes technology is at its best when it is simple to use. Bosch appliances with Home Connect are the link between technology and human interaction in the home, empowering consumers to master their day sooner and ultimately create more time to savor the moments that matter most. Home Connect is the first solution in the world to allow home appliances from different brands to be controlled with a single app. The system is designed as an open platform that will keep evolving to cover a growing range of services. 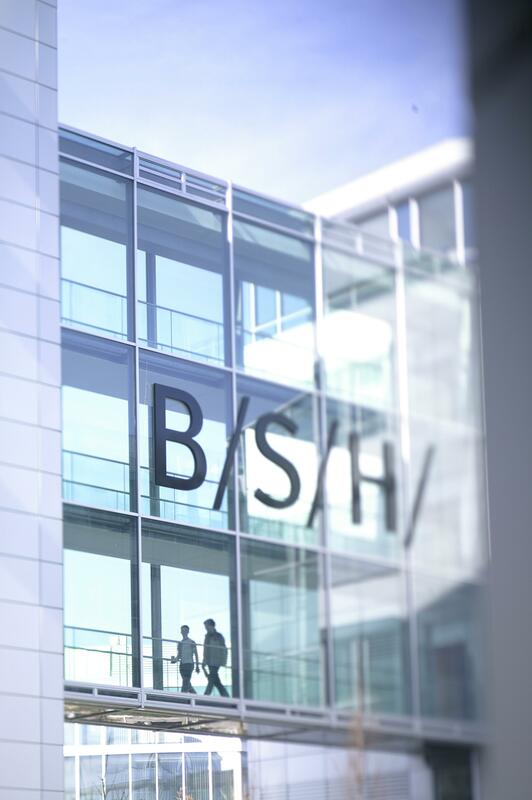 Home Connect is a global solution available in 34 countries and is offered in the US and Canada through BSH Home Appliances Corporation. Home appliances fitted with the Home Connect function and the accompanying app have been available in the US since October 2016. For more information about Home Connect, go to: http://www.home-connect.com/us/en.